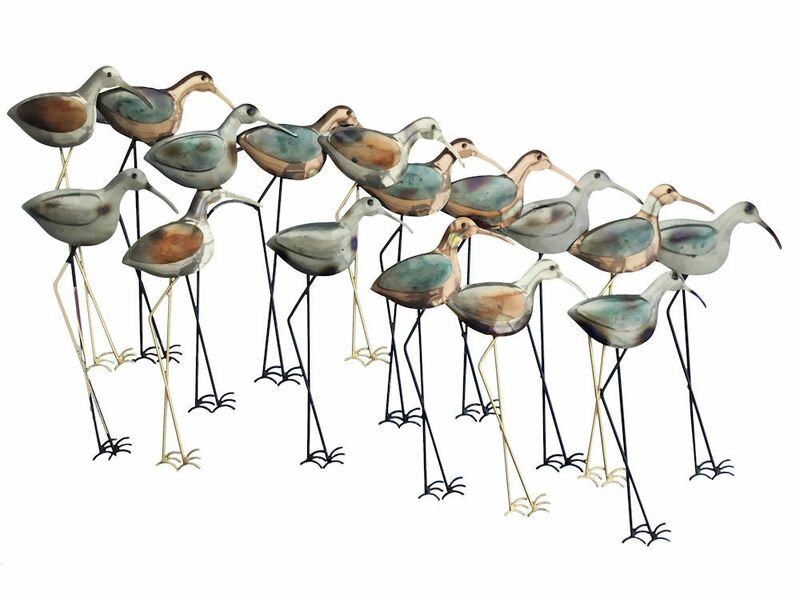 This metal wall art beautifully captures the grace of a flock of wading birds. The wide, sloping arrangement accentuates their subtle colour differences and long legs, finished in black and silver. The softly shining finish of the metal wall hanging reflects light to create a lovely watery feel. Gorgeous tones of gold, silver and blue give the wading birds piece the look of luxury while mimicking the beautiful colours of nature.